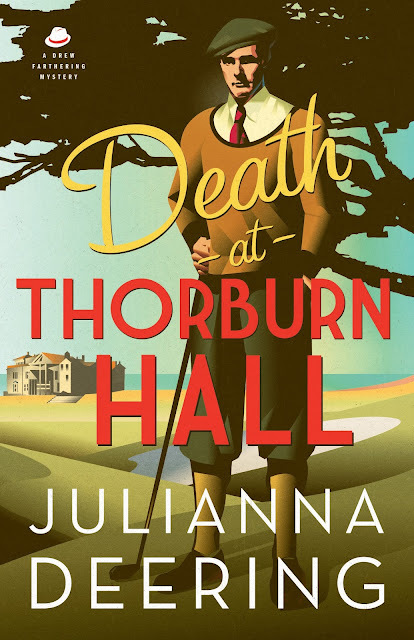 Today is the official release of Book Six of my Drew Farthering Mysteries, Death at Thorburn Hall. I had so much fun writing this one. Poor Drew and Madeline never seem to get to go anywhere wihtout running into murder and mayhem. This time they go up to Scotland for the 1935 British Open. Nick is along for the ride and, to his delight, his longtime, long-distance sweetheart, Carrie, will be back at his side. Ostensibly, she has come to spend some time with her best friend Madeline, though everyone knows it's Nick she's come to see. But when their host ends up dying in a not-so-accidental accident, she has second thoughts about accepting Nick's proposal. Of course, Drew can't be in the middle of a mysterious situation and not see if he can figure it out. What exactly is the motive? Adultery? Embezzling? Nazi spies? Or is it something even more wicked? And will he live to tell the tale? Death at Thorburn Hall is avalable right now! Congratulations, Julianna! I'm looking forward to catching up and intrigued by this setting. Hooray for Drew!